I wandered into a Ryman’s at the weekend. They had nothing interesting in the way of pens (I use Japanese 0.28mm gel pens for writing in my Moleskines) but I did see this bag of bags. 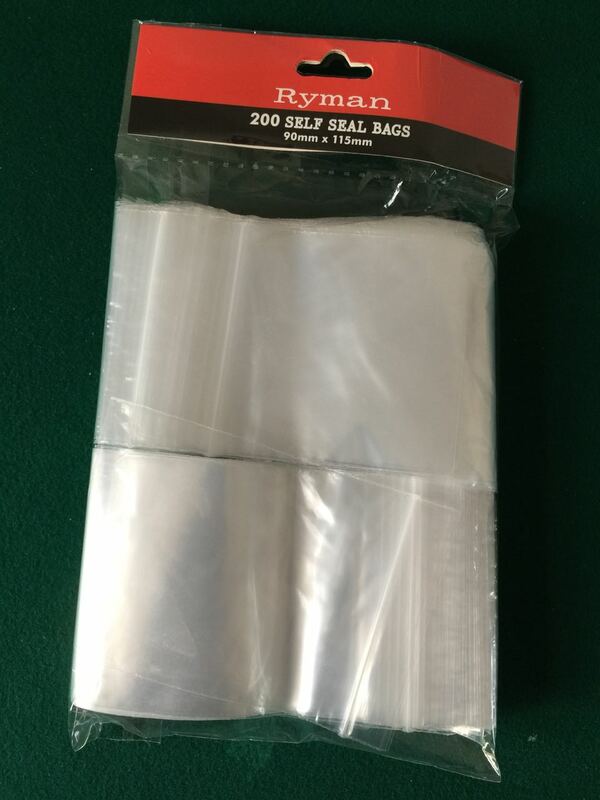 200 baggies. They used to be called zip-lock bags. It was only a fiver, which is 2.5p per bag. Now I have plenty of bags for all my tokens and counters and chits and you-name-its from all my games. They are a nice size, not too big, so they can be used to separate the many different types of tokens you get in some games without being unwieldy. I had been using the liquid bags you get at airports, but they are generally too big for just a few tokens so I end up putting a load of different types in one bag. Then I have to spend ages sorting them all out every time. 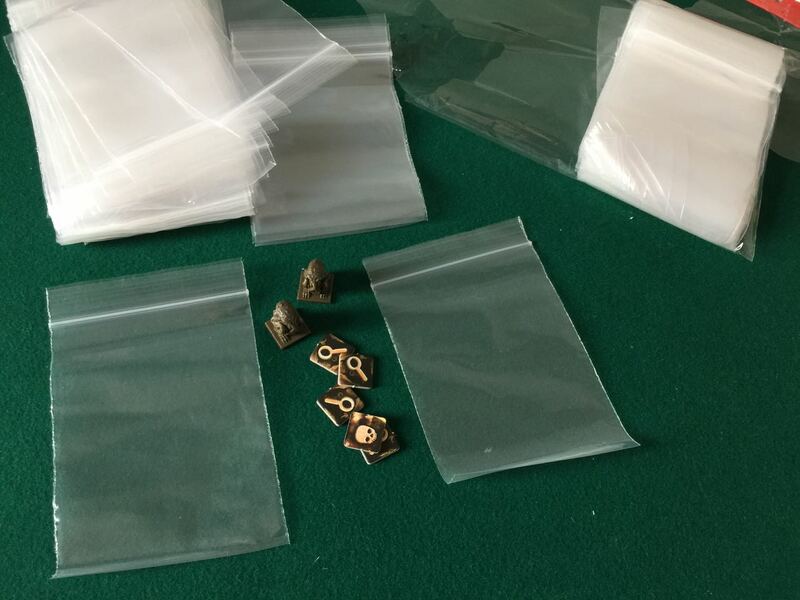 Here you can see the bags alongside the success tokens and tiny Cthulhus from the Call of Cthulhu Card Game. Just right. The perfect size for success tokens. Posted in Blog Posts on May 6, 2015 by Tim.